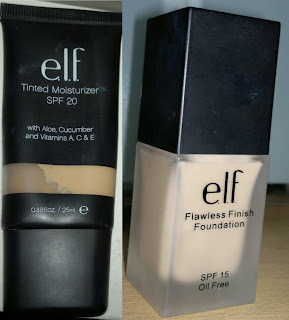 Another post following on from the Rimmel one, comparing two ELF foundations. Both of these are called the same name but again they are very different in colour. 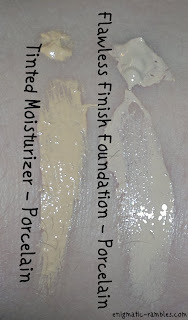 The tinted moisturiser in incredibly yellow based whereas the flawless finish foundation is neutral. I have already reviewed the tinted moisturiser and will get the flawless finish reviewed soon.